Edited May 2018: from some days now, Weather Underground doesn’t distribute free API keys anymore. As you know, Weather Station is not reserved for owners of meteorological stations. 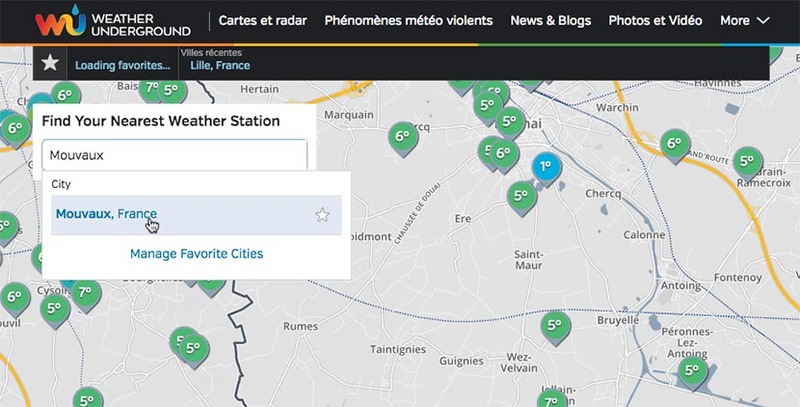 You can use any public weather station free of charge, whether it’s close to your home or on the other side of the world. These public stations are stations that are operated by amateur or professional meteorologists who have decided to share their data. Nice right? The only difficulty is finding the “right” station. The one that will give you the most accurate and faithful information about the location you are interested in. So to get you started, here’s the easiest way to find a station on Weather Underground and add it to Weather Station. Go to the Weather Underground homepage. Select a more interesting station (by clicking on it) and note its identifier in the same way as previously (this identifier is always in the URL of the page). That’s it! 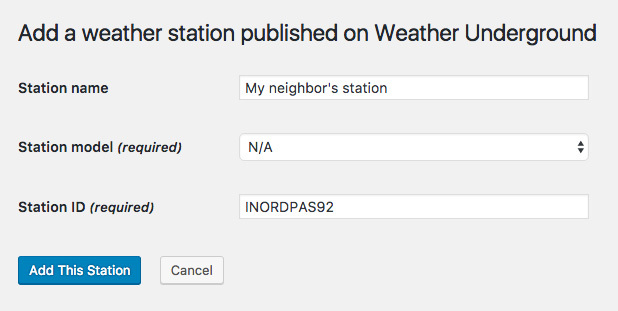 You can now use this station within Weather Station like any other station. Pretty simple, right? 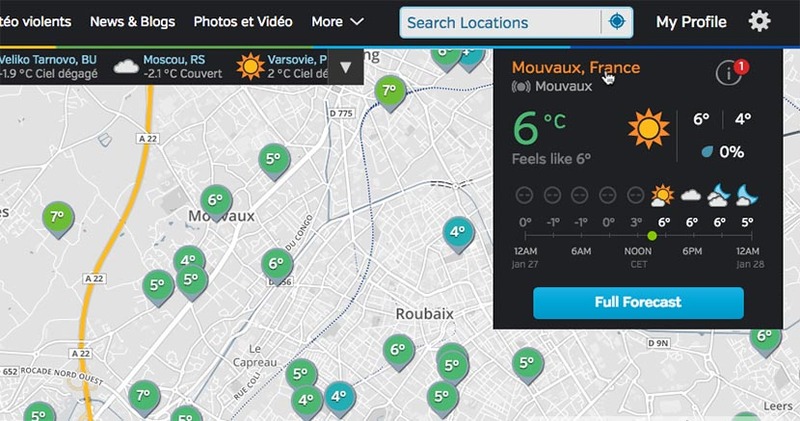 Will Weather Station be able to grab other weather data? I post mine to PWS, so can I get it there?